Now that Intel IT has embraced cloud computing, we're rolling out cloud capabilities to internal enterprise consumers. The focus is on using virtualization as the foundation for the cloud, enabling on-demand self-service to deliver ever-greater levels of IT services. 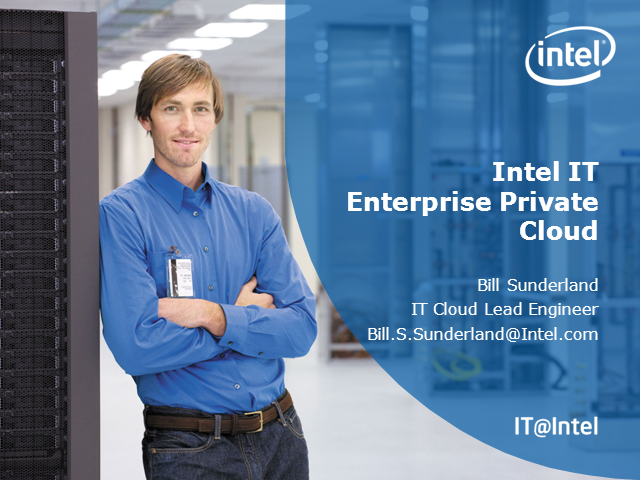 Find out firsthand how Intel IT has addressed the challenges of enabling an enterprise private cloud, and what the plans are for continued evolution.